Diapause is an important strategy for certain insect species to survive unfavorable environmental conditions, including low temperatures experienced when they overwinter in cold climate. Many studies have indicated that the increased expression of heat shock proteins during diapause improves the thermal tolerance of insects. However, the relationship between small heat shock proteins (sHSPs) and diapause is not clear or well-researched. 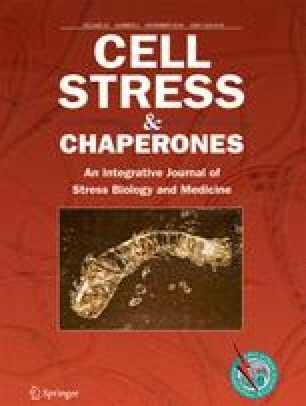 In this study, we investigated the transcript levels of 14 sHSP genes in the spruce budworm, Choristoneura fumiferana, a major pest of spruce and fir in Canada, during pre-diapause, diapause, and post-diapause under normal rearing conditions and in response to a heat shock treatment. We found that sHSP expression profiles could be classified into five patterns under normal laboratory conditions: pattern I was upregulated only during pre-diapause, pattern II was upregulated only during diapause, pattern III was constantly expressed throughout diapause, pattern IV was upregulated in both pre-diapause and diapause, and pattern V was upregulated only during post-diapause. After heat shock, five different expression patterns were observed: pattern I responded weakly or not at all throughout diapause, pattern II responded weakly during the diapause stage but strongly at the onset of diapause and in the post-diapause period, pattern III was upregulated only during post-diapause, pattern IV was strongest during diapause, and pattern V was strongest only in early diapause. These complex expression profiles lead us to suggest that most of the sHSP genes are involved in the diapause process and that they may have multiple and important roles in different phases of this process. We greatly thank Insect Production Services at the Great Lake Forestry Centre for providing insect materials. We thank two anonymous reviewers for their constructive comments. This work was supported by grants from the Genomics Research and Development Initiative (GRDI) and the Canadian Forest Service, Natural Resources Canada.